This track forms one side of a seven inch single by Swedish band Museum Of Bellas Artes. It's limited to just 300 copies and can be purchased from the bands Myspace. This is a track from TV Girls current four track EP which can be downloaded for free from their Bandcamp Page. Oh Dear, sounds like something has upset our Aiden. Not a track for you if you are easily offended. Taken from Aiden's new "Ten Short Songs For Modern Lovers" which is available on, wait for it, seven inch vinyl (yes some of the tracks are quite short hence the title) and according to one website is only available from indie stores as a limited run of 250. Well worth tracking down. Taken from the split single Rangers share with Ducktails which is another one of those lovely Bored Fortress singles club releases. This track is taken from the Alabama bands debut album "Speak The Language" which was released on Burnside Records last week. This is probably one of my favourite records ever. 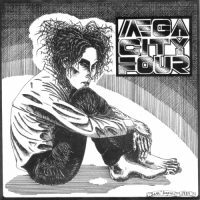 It's a seven inch single which was released back in 1990 on Decoy records and was my first introduction to Mega City Four who released a string of excellent singles at the start of the nineties. This though is the one I still keep coming back to twenty years later. Honestly, I could listen to this on a loop for hours although I suspect Nix may have put her foot through my face before I got anywhere near that. It's taken from the latest album by Japanese noise creator Susumu Yokota who has himself been making records since the early nineties. You really wouldn't think so though as this album is so fresh. I've got a feeling this could stay on my ipod for months to come. The record is called "Kaleidoscorp" and can probably be purchased from HERE. This track is taken from the debut album by the Canadian band. "Ghost Blonde" is quite simply one of the best albums of the year and should be inside everyone's ears at least once. 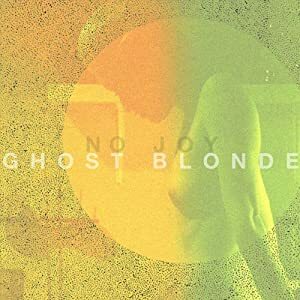 "Ghost Blonde" will be released through Mexican Summer on 7th December. 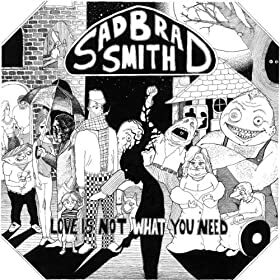 Taken from the album "Love Is Not What You Need". Sometimes a record comes around that gives you a kick up the jacksy and makes you realise that it really was worth getting out of bed this morning. This is one such event. The band are based in Glasgow and this track is take from what the band describe as "an adequate five track EP" but which I call a work of art. It's called "Battleships & Kettle Chips" and will be the first release on new Scottish label Olive Grove Records on 15th November. Some say I'm easily pleased but with this I'm ecstatic.